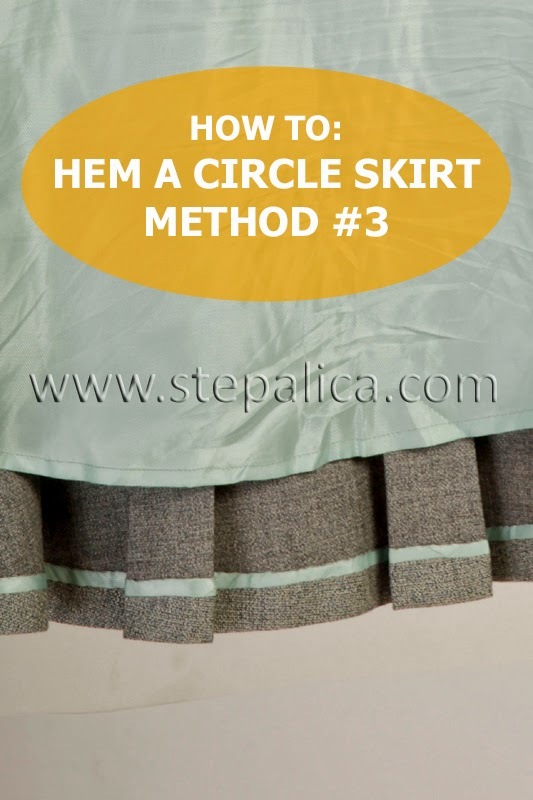 Today I'll show you the third method for hemming a circle or a straight skirt. 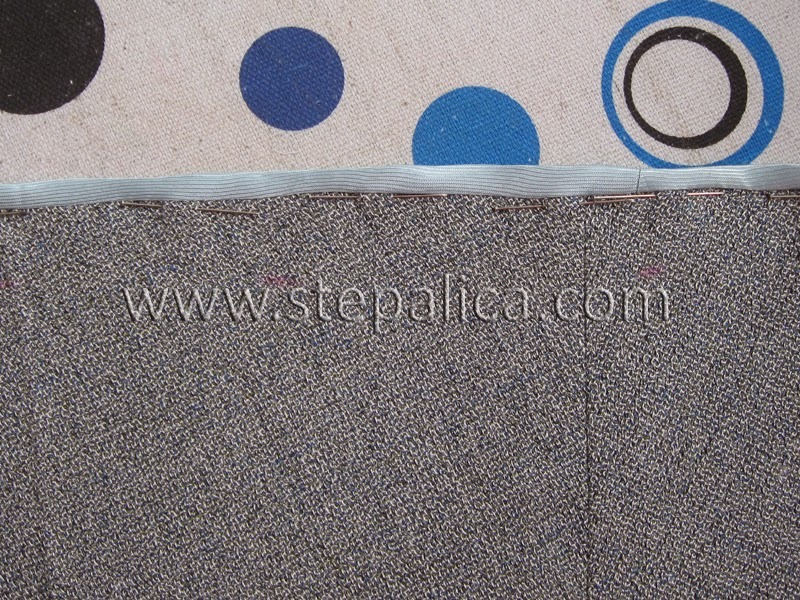 The technique is suitable fore medium to heavy weight fabrics which shouldn't show off the topstitching on the right side. 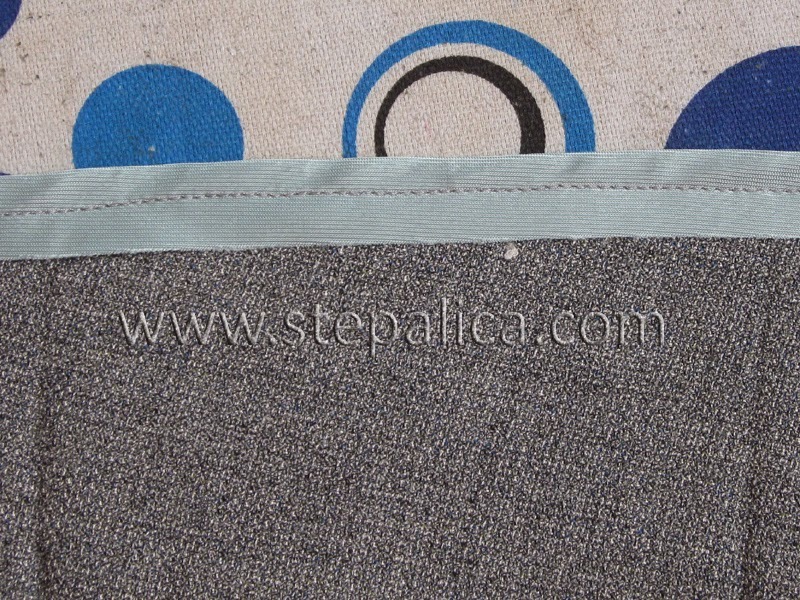 You will need a lot of bias cut strips of fabric, which you can make yourself or buy at a notions store. 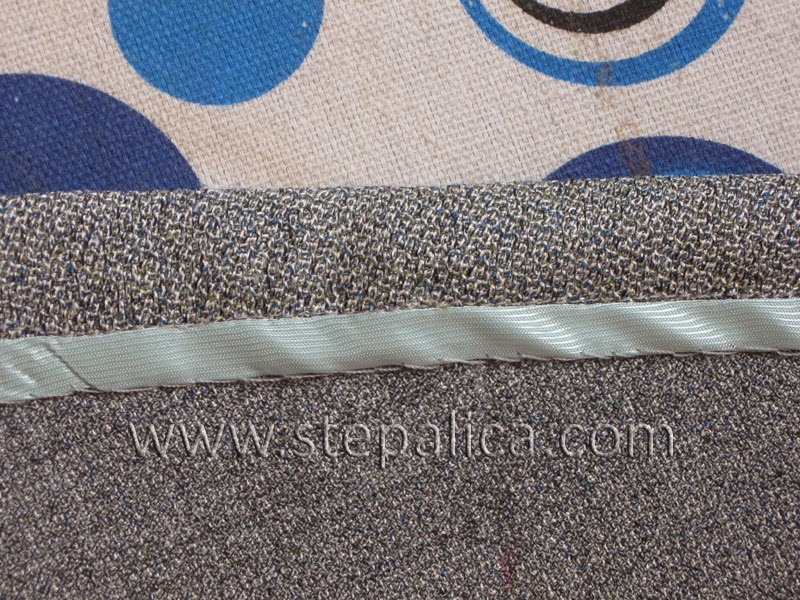 It's important to use a lightweight fabric for strips. 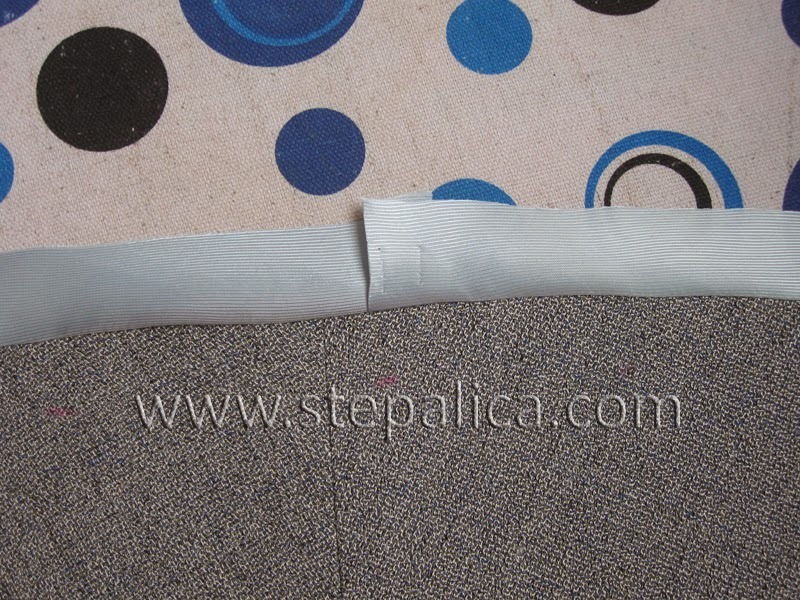 Cut 3 cm wide bias strips, cut enough of them to hem the skirt. 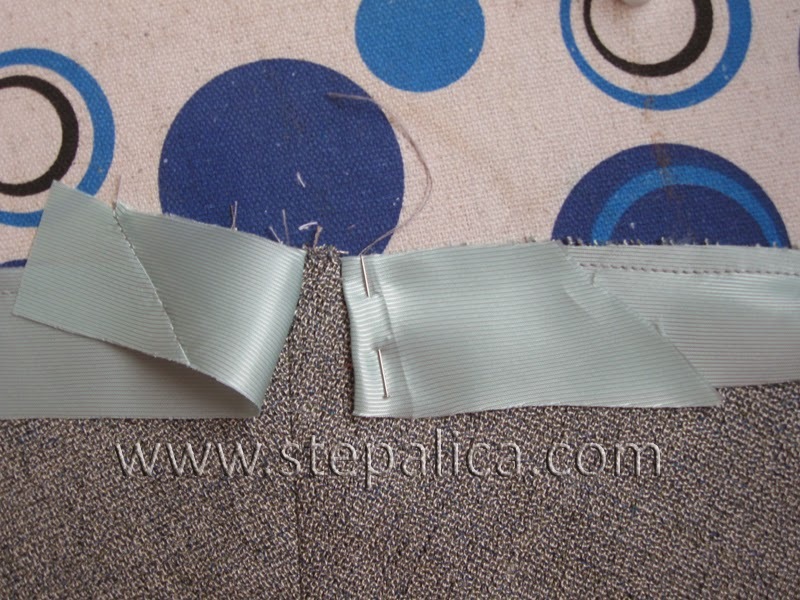 Sew the strips together with angled seams that reduces the bulk when the strip is folded in half width-vise and press the seams. 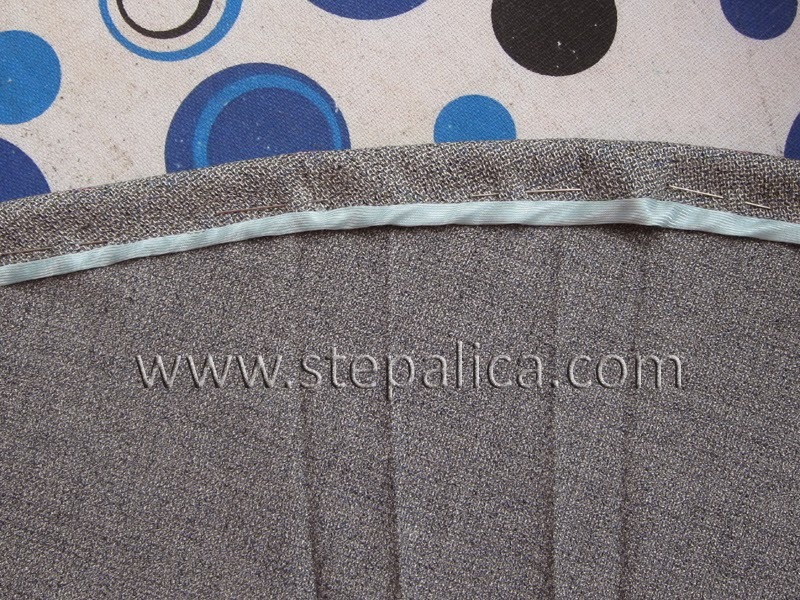 With right sides together place the strip over the skirt and align the edges. Pin the fabrics together. 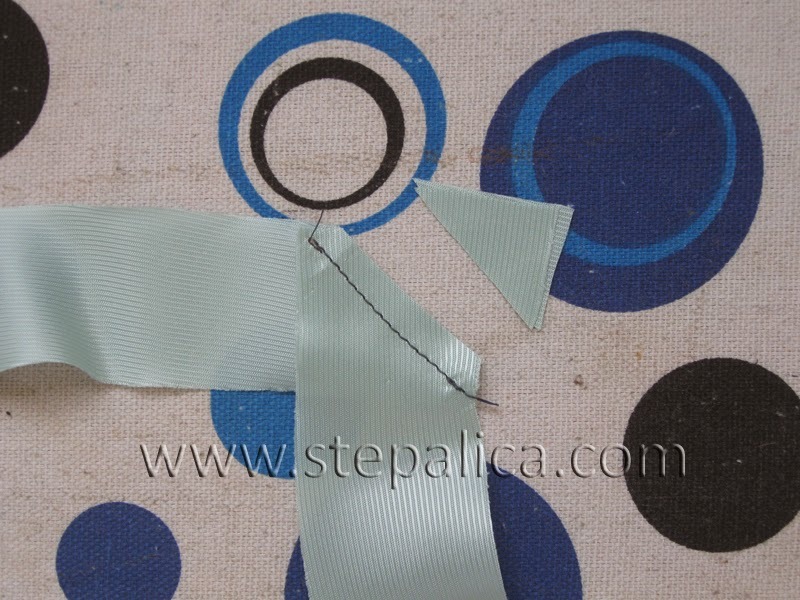 Sew the band to the skirt, by distancing the stitch line 0.5 cm from the edge of the fabrics. 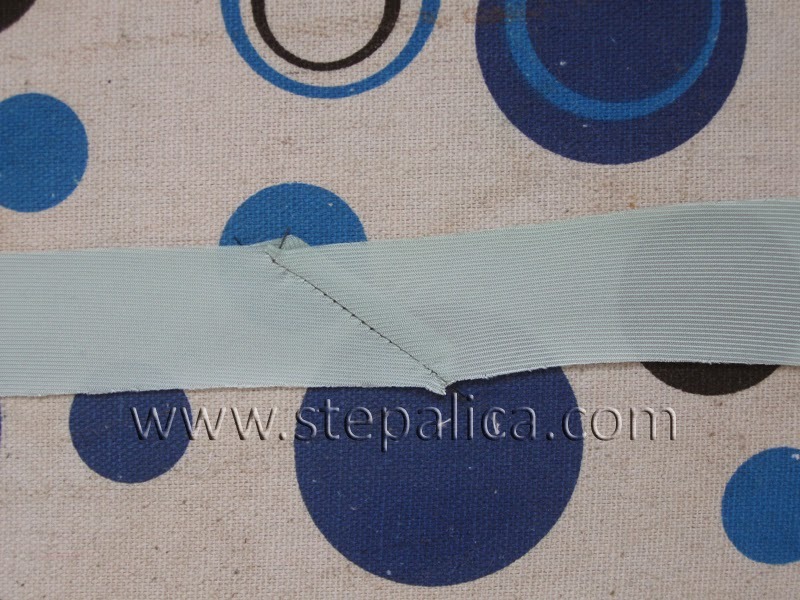 Fold the ends of the band to the side, cut off the extra length and sew the band to the skirt. 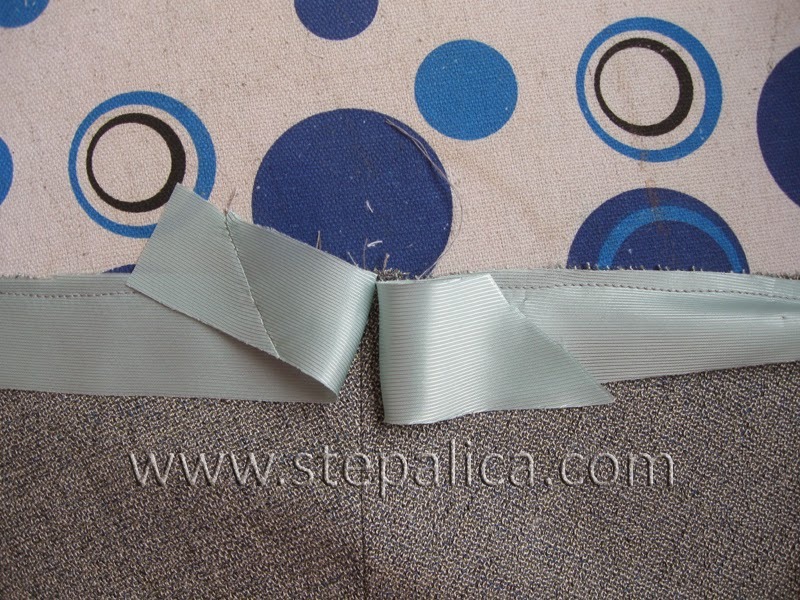 Flip the band over the seam and press it. 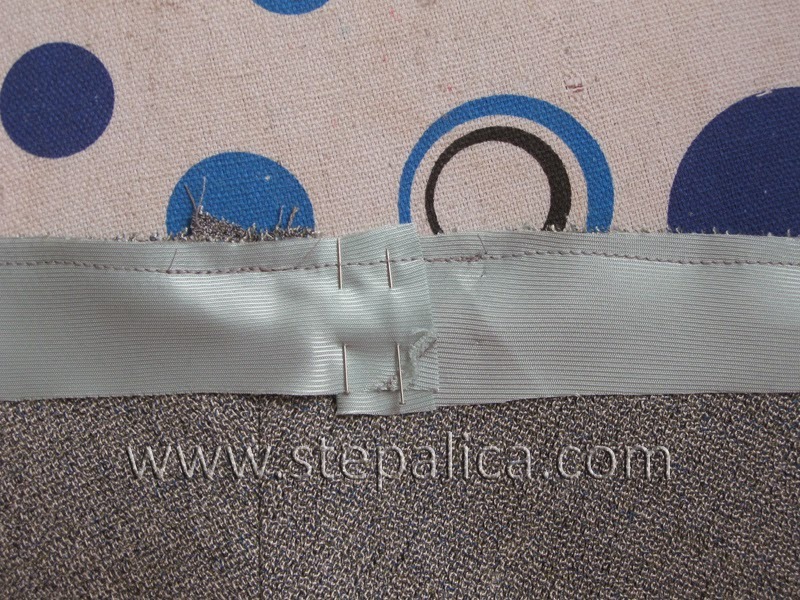 Now flip the band over the edge of the skirt and pin it in place. Using the stitch in the ditch technique, sew the band in place. 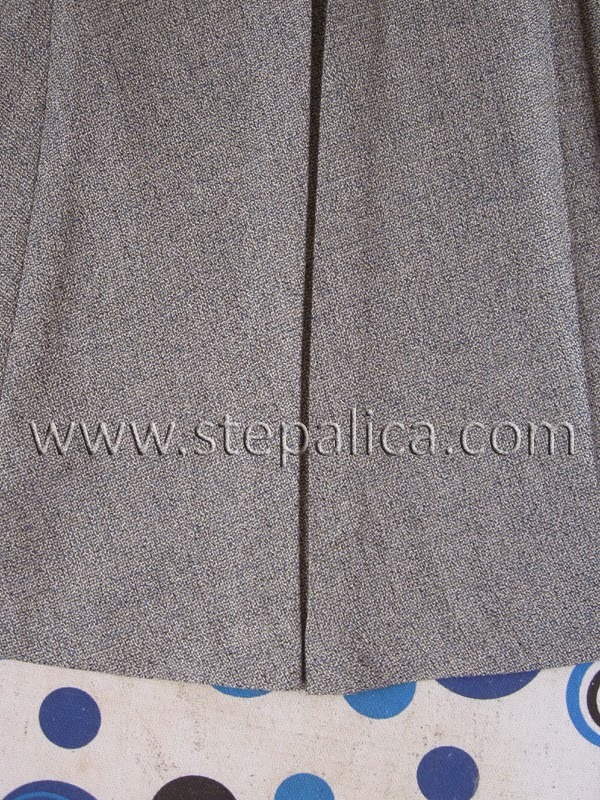 With wrong sides together fold the bottom edge of the skirt and pin it in place. The width of the hemline should be 2 - 3 cm. Press the fold line. 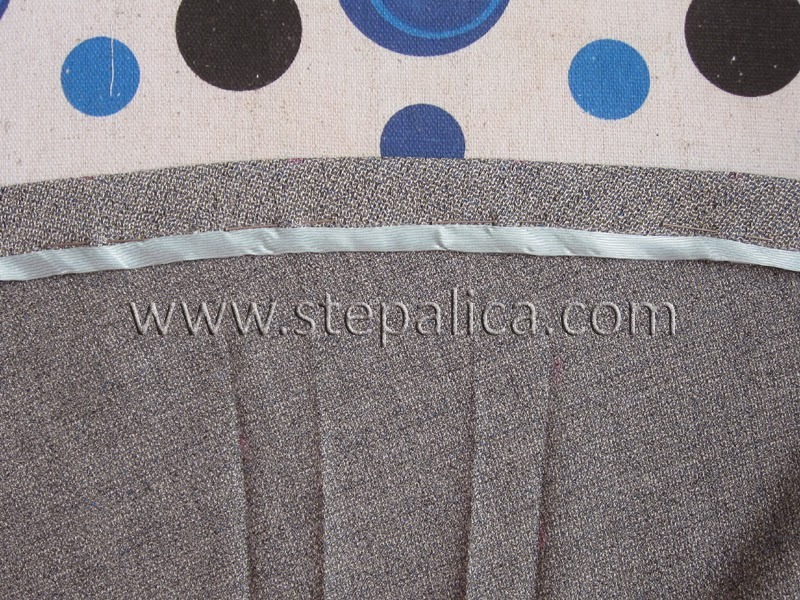 Hand sew the hem to the skirt, using a dense set of stitches, that do not show on the right side of the fabric. 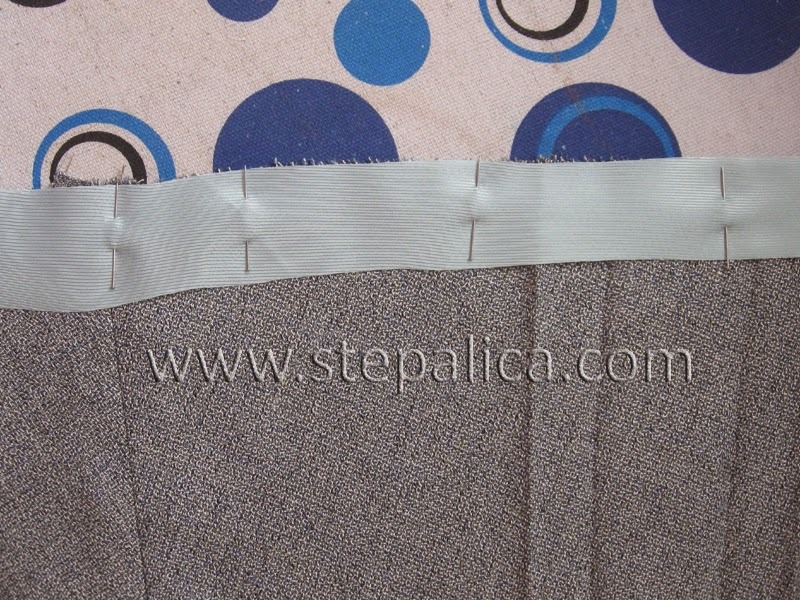 Due to all the pressing of the hemline the pleats have lost their shape, so press them in place once again. 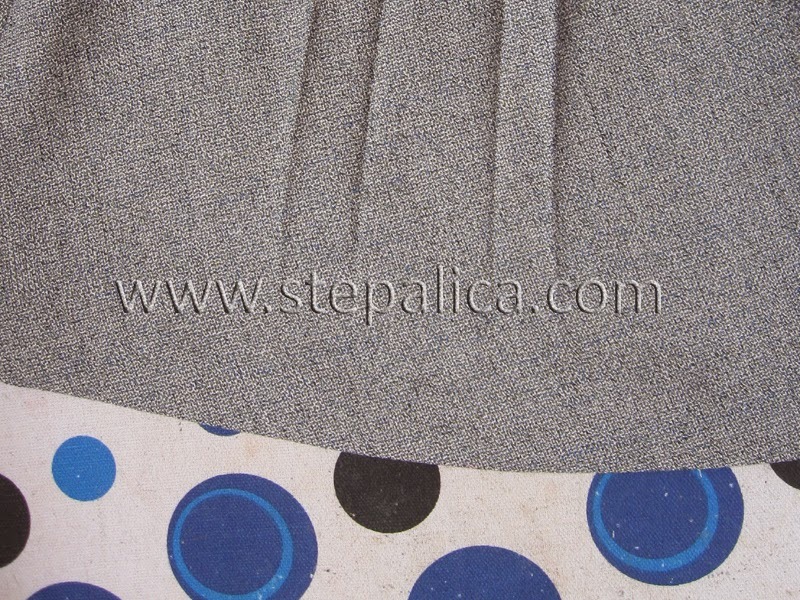 Now you have made the final work on your lovely skirt! 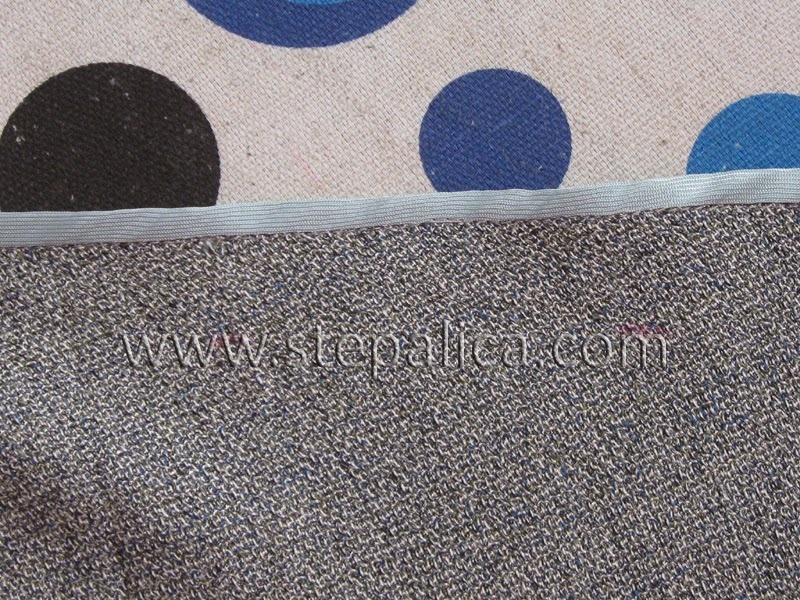 Tomorrow I'll show you some nice pattern alterations that will provide various styles.